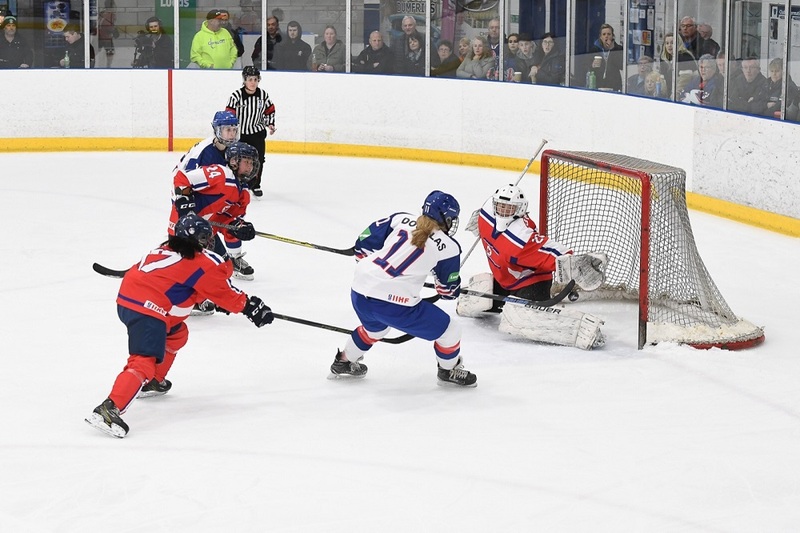 Great Britain Women secured the silver medal with a 2-1 victory over DPR Korea Women in the final game of the World Championship Division II Group A in Dumfries. The result means that Spain Women, who were only promoted last season and were sixth seeds in the tournament, take home the bronze in their first year at this level. Slovenia Women beat Mexico Women 7-1 in the day's first game to secure promotion to Division I (Group B) for the first time in their history with the gold medal. Jang Hyang put DPR Korea ahead on a delayed penalty as she reacted first to a loose puck on the doorstep (2:59). GB grew stronger as the period went on and Kim Lane, Shannon Douglas and Steph Towns all went close, while Katie Marsden hit the base of the left-hand post. Marsden forced a good pad save out of So Jong Sim early in session two and GB equalised when Lane netted from close range for her second goal of the tournament (27:49). GB looked the most likely to score again and Shannon Douglas slotted in a rebound after Towns had seen her shot saved (34:40). Nicole Jackson, on the night she won her 50th GB cap, made two unreal saves from a scramble around the net to keep GB's one-goal lead in tact. Abbie Sylvester hit the base of the right-hand post and Marsden's bullet of a shot pinged back off the bar as GB went in search of the insurance goal. GB had to kill off a late DPR Korea powerplay but held firm to secure the silver medal on home ice.